If you enjoy photography and would like to better understand how to compose and take better landscapes, then join me for a workshop or phototour - on land or on sea....!! As well as being an accomplished photographer, experienced in running photography courses, I am also a qualified mountain and sea kayak leader, with many years of experience in leading groups out on the hills and kayaking the coastline of Scotland. I am fully covered by public liability and professional indemnity insurance. Whether you would like to join me for photographic group tuition or to plan that one to one specialist photographic day, if it's based in the outdoors, please contact me with your requirements. What could be more evocative than exploring the Scottish coastline by sea kayak? Expand your photographic skills with bespoke tuition from Scotland360° and experience unique perspectives of beautiful locations reached only by sea kayak. Set in the beautiful coastline of the Scottish highlands, our sea kayaking photography workshops and phototours are uniquely tailored to improve your skills with your camera whilst sea kayaking. Whether you are taking photographs for fun, to record landscapes, seascapes or nature, we can assist with a better understanding of light, perspective, camera angles and technical understanding of the use of your camera on the water. We launched our sea kayaking photography courses in April 2015 and, as well as running courses in association with other providers, we are now expanding our courses. For more details, please click on the link below to take you to our Sea Kayaking Photography Page where you can find out more. My Phototours are based on your individual requirements. If you would love to be in the right position to capture that mountain top sunrise or sunset, please let me know and we can start planning! Equally, if you would like to discover some fantastic viewpoints with great perspectives, Scotland360° Phototours are for you. 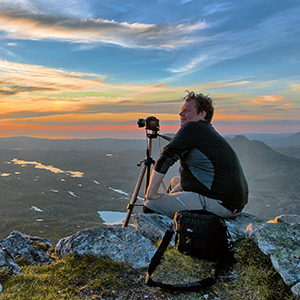 Discover the range of photographic possibilities in Scotland's lochs, rivers and shorelines. Capture the dynamic moods, motion and movement of water. Freeze the action in sharp relief or slow it to silky softness. Explore reflections and the use of filters, with tuition in the most appropriate camera settings to use when photographing water. 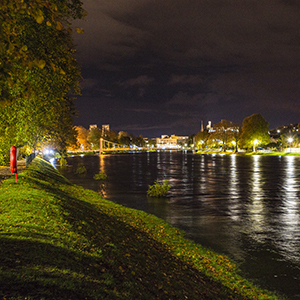 Inverness is perfectly placed for access to a wide range of magnificent venues for our Scotland360° “Waterfalls and Waves” photography workshop themes. Tarbat Ness and nearby Rockfield in Easter Ross are packed with potential for photographing and capturing the power of the sea. 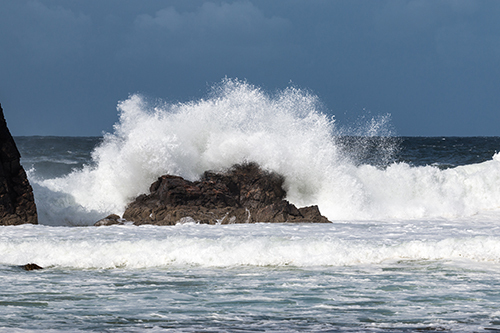 Experience the power of the waves crashing over rocks, providing perfect opportunities for learning how to freeze the action - or perhaps developing your photography techniques for slowing down shutter speeds to produce a sense of motion. 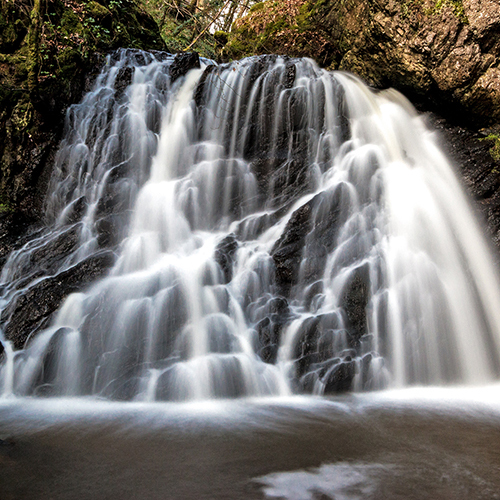 In contrast, the Fairy Glen at Rosemarkie on the Black Isle, provides the perfect setting for photographing a particularly picturesque waterfall. The walk to the waterfall through a delightful semi natural woodland, winds its way alongside the Rosemarkie Burn.